On the podcast, Lindsay sits down with dietician Adrienne to discuss strategies for combating overeating! Lindsay and Adrienne discuss sticking to a meal plan, keeping a food journal, and more tips for mindful eating. Hear all of these insights plus more when you listen to episode 2 of the Meal Mentor podcast! 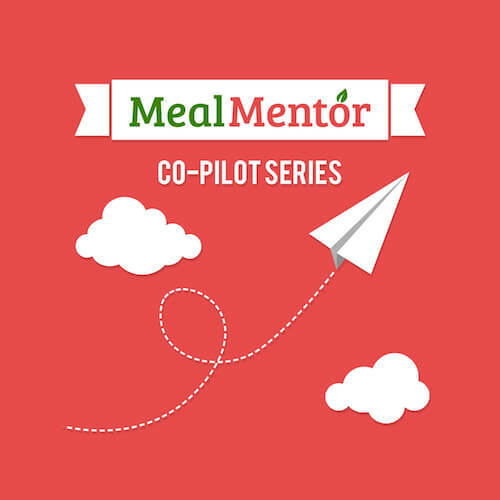 On this episode of the Meal Mentor Co-Pilot Podcast, member Adrienne describes her experience being an ethical vegan living with an omnivorous family. In part two of this series, Patricia returns to the Meal Mentor Podcast to share the results of her plant-based office initiative!